Molecular breeding is an emerging molecular breeding technique in the plant science area. The development in the breeding area of plant science is definitely a remarkable one. Gene mapping at the molecular level will definitely give a more detailed insight of the plants. 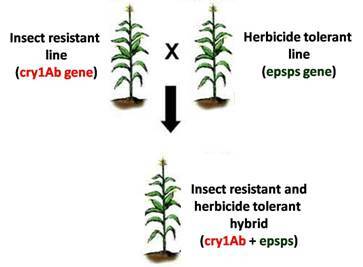 This molecular breeding technique will definitely aid in the rise of crop yield.Molecular Breeding focuses on the application of the molecular biology tools in the plant breeding.Techniques like marker assisted selection,quantitative trait loci-QTL mapping,genetic transformation,marker assisted backcrossing.All the mentioned techniques will help in the elevated levels of the crop yield by providing detailed information about the plants. All these techniques are useful in enabling to give the molecular level understanding to the researchers and thus enabling the farmers and cultivators to grow the plants which can yield high production rates.